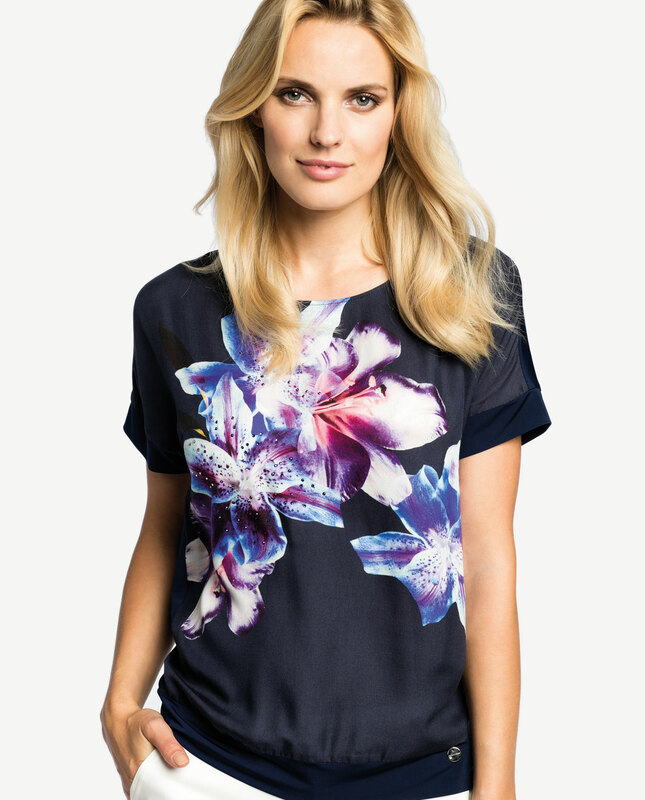 Gorgeously feminine floral blouse with short sleeves. Made from soft and airy fabric containing some silk, shapes well to the body. Blouses, basic items in your wardrobe, can createa limitless number of looks that will be in line with your personality. The floral detail with fake decorative gems ideally complement summer looks. Together with vintage cigarette trousers and a fitted jacket it will constitute an appropriate formal outfit. Thanks to its versatility, it can be matched with a pair of jeans to make it look a bit more casual. The back side is plain, the bottom and sleeves are finished with broad cuffs.